To ensure a high level of protection for your information, it is recommended to store and use encryption keys and specially protected signature devices referred to as HSM (Hardware Security Module). Both the standards for the payment card industry, PCI-DSS, and the European Union regulation and IDAS for identification and electronic signature provide for the use of such devices. In this context, the use of secure cryptographic hardware or HSM provides an adequate mechanism to safeguard and protect keys (in the fashion of a safe-deposit box). However, the cost and complexity related to installation and configuration hinder greater adoption of this hardware. For this reason, some as-a-service solutions have emerged, such as the Azure Key Vault, which offer the possibility of using HSMs as one more service within a public cloud. Microsoft Azure is a comprehensive set of cloud services used by developers and IT professionals to create, implement and administer applications through its global network of data centers. Microsoft incorporates Key Vault, a service to safeguard keys on Hardware Security Modules with FIPS 140-2 level 2 certification (hardware and firmware). SealSign® is a scalable, modular and full enterprise platform developed by ElevenPaths providing electronic document and biometric signatures, digital certificate safekeeping, and long-term archiving of signed documents. 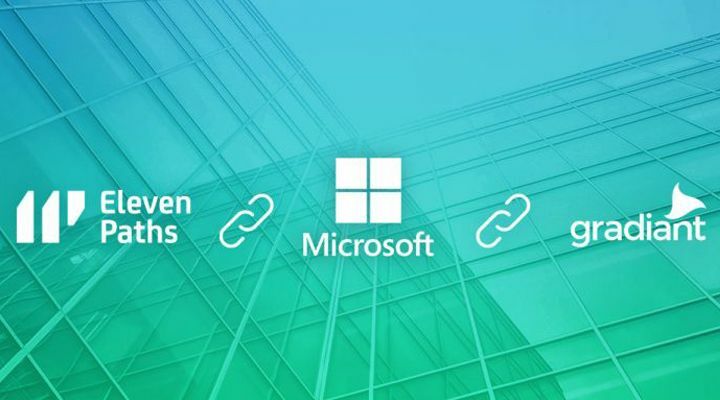 ElevenPath, Microsoft and Gradiant have collaborated to create a solution for electronic signatures and digital certificate safekeeping in high security cloud storage. This solution was presented on the occasion of Security Innovation Day 2017, an innovative cybersecurity event organized by ElevenPaths. It combines the SealSign® electronic signature platform, the availability and scalability of the Azure Key Vault, and Key Vault’s integrated key safekeeping service thanks to the BlackICE Connect integration module, developed by Gradiant. Using this cloud solution provides every enterprise with a high security, high performance platform, the costs of which are tied to its real usage and needs. This allows savings of up to 80% for this service in comparison with other on premise, dedicated platforms. Download BlackICE connect brochure for further information.